With Dream Payments' Mobile POS Support Ending, What Should You Use? With Dream Payments’ Mobile POS Support Ending, What Should You Use? 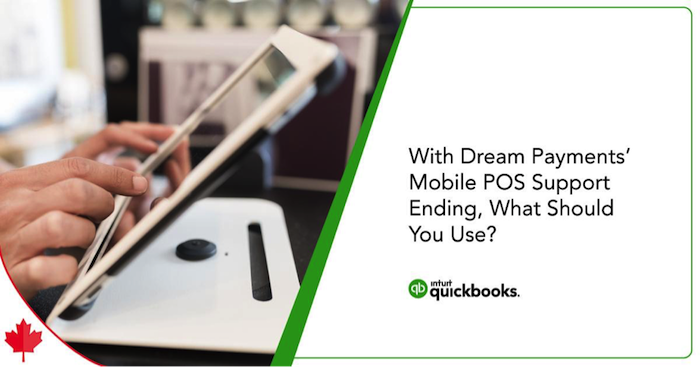 Dream Payments recently announced the discontinuation of their popular Mobile Point of Sale (MPOS) solution. This may have left you scrambling to find a replacement solution. 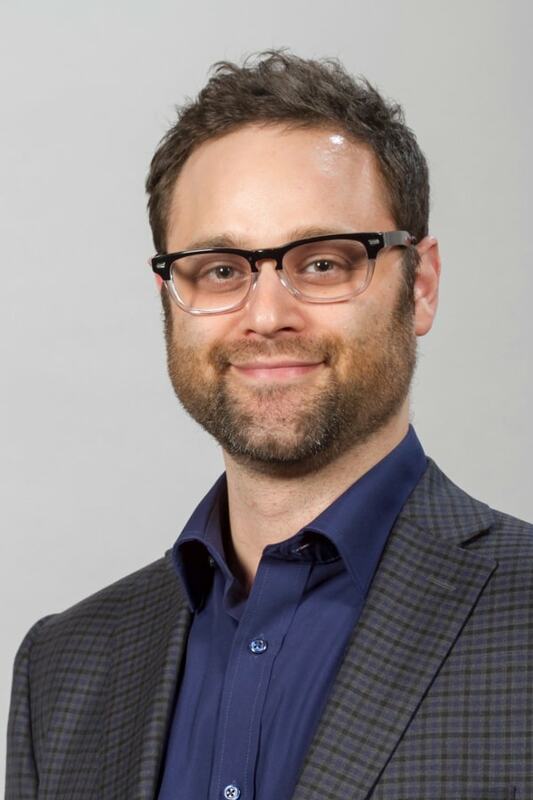 I recently sat down with Jennie Moore, founder of Moore Details Inc., who had some great suggestions on alternatives for you to use that will hopefully put your mind at ease. Jennie has been passionately helping clients grow their financial operations for over 12 years, and I highly respect and trust her recommendations. She’s a mentor in the Intuit® Mentoring Program and the Intuit Trainer Writer Network. She has spoken at the Institute of Professional Bookkeepers of Canada and at various Intuit QuickBooks® Connect events. She also was one of Intuit’s 2016 Firm of the Future finalists, a Top Ten Influencer in the Bookkeeping World and one of the Top 50 Influential Women in Accounting. So, what should Canadian merchants do? PayPal: This online payment processing solution only requires a customer’s email and password for purchasing power and is geared for small- to medium-sized businesses. Stripe: This online payment processing solution accepts all major credit and debit cards and considers themselves one solution for all your eCommerce payment needs. They do not, however, handle in-person payments. Square: This online – and offline – payment processing solution provides a card reader and the software to run your offline store. It accepts the major credit and debit cards. Jennie advises that everyone research the various tools she recommends, since they vary in what they provide and in ease of use. All three eCommerce options, however, integrate directly with QuickBooks Online (QBO). This means you benefit from automatic transfer of data, easy reconciliation of your books, automatic capturing of sale transaction and product details, and more. For Canadian businesses that have a high volume of in-person card transactions,Jennie shared two serious contenders to use as replacement systems. She noted that both options do not currently have direct integration with QBO. Moneris was founded in 2000 and is headquartered in Toronto. It’s considered a good fit for all-sized businesses, though smaller companies looking to use it should be those planning for quick growth. “This option has served me well in the past. It’s a really well-branded, forward-facing merchant. They have this particular device called PAYD. There’s three different versions, but what I’m suggesting to individuals is to look at PAYD Pro,” Jennie says. PAYD Pro is a mobile payment solution. Your mobile device is your payment tool, and it gives your customers payment options, such as contactless, chip and pin, or swipe, and accepts Interac®Debit, credit or Apple Pay. Jennie says it will be similar to Dream Payments, but slightly different in that it currently doesn’t integrate directly intoQBO. This means you’ll need to export data from Moneris and import it into QBO. However, you have access to the data from the bank feed, allowing you to report a sale right away. One way is to record deposits from the bank feed as revenue and record the applicable sales tax. If you have multiple items that have varying sales tax requirements, you may want to investigate Moneris PAYD Pro Plus, which is a larger POS system that allows for services with varying product types and sales tax requirements. There are many reports, also available in real time, that you can export and then import into QBO via a manual journal entry in QBO, or use a data importer app such as SaasAnt Excel Transactions. This system seems to be more popular with small business owners. Within one day, Jennie had a massage from her RMT in which she paid for her services using Moneris PAYD, and then later that evening took her children to their local rural drive-in theatre and she paid for popcorn at the canteen using, yet again, Moneris PAYD Pro. Jennie says this option is catching on for her customers before she even has a chance to provide it as a solution. First Data was founded in 1969. Though headquartered in Atlanta, Ga., it still offers a payment processing solution for Canadian merchants and has solutions for both small and large businesses. They brand themselves as the complete mobile POS solution for mobile businesses. Like Moneris, the company’s Mobile Pay Plus application allows customers to pay how they choose – contactless, chip and pin, or swipe – anytime and anywhere. Accounting professionals who choose this option will have to import their data from First Data into QBO, just like with Moneris. The simplest method is to record the deposits from the bank feed as revenue and record the applicable sales tax. Similar to Moneris PAYD Pro Plus, there are various reports available to use either as an attachment to a manual journal entry in QBO or import using a data importer app such as SaasAnt Excel Transcations. June 30, 2019: Dream Payment’s Web Dashboard will continue to remain available, and you can view your QBO’s synchronization data, including transaction and deposit information, until this date. For more information, email support@dreamplayments.com, or contact Dream Payment’s Support Centre at 1-877-260-2558. The loss of Dream Payments MPOS is disappointing for those who loved the terminal and service, but Jennie is upbeat and optimistic about future solutions. By implementing one of the services listed in this post, Canadian small businesses and accounting professionals will be able to continue offering excellent service and payment options to their customers. Even though it will “take money and time to solve this,” Jennie feels this decision by Dream Payments has opened the door for forward-thinking and innovative entrepreneurs to create a solution all Canadian businesses can embrace – one that integrates directly with QBO, Canada’s most popular cloud accounting platform.